White Pride Is Stronger Than Black Pride! People may not like everything that Tommy Sotomayor says, but this video can NOT be debated or denied. Everything he said is true. Black people, we have to be better than this! This type of stuff is the reason why Rachel Dolezal was able to pull the stunt she pulled with black people. It’s time to wake up, black people, PLEASE! Author mysparkingthoughtsPosted on September 14, 2017 September 15, 2017 Categories Black IssuesTags acceptance, african american, biracial people, black people, black pride, mixed people, multiracial people, one drop rule, rachel dolezal, racial identity, racism, racist, slavery, tommy sotomayor, white people, white pride9 Comments on White Pride Is Stronger Than Black Pride! Black people have been told to “forget and get over” slavery for many, many years. We blame slavery for many of the problems that are prevalent in our communities today, from the broken families to the violence. But I would like to know, why are we being told to forget and get over such a hurtful point in our history? And why is it that we never “got over” it in the first place? Slavery of black people in America began in the 1600s. White people used black people from Africa as slaves to help them with crops, such as tobacco, and other landscaping work. It became even bigger business after the cotton gin was invented in the late 1700s. 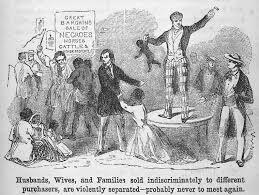 During this time, many black people were sold and disconnected from family members and loved ones to various slave owners. Rules and codes were created by slave masters that helped them keep their slaves divided and dependent on them. Of course, let’s not forget the long, harsh labor they were forced to do. And many of the slaves were brutally punished or even killed if they didn’t follow orders or follow them properly. All of these things were even justified because blacks were classified as uncivilized and barbaric, thus needing slavery and treatment in this manner to “discipline” them. Slavery lasted until 1865, when Abraham Lincoln issued the Emancipation Proclamation, officially freeing all slaves. Black people had already endured severely harsh conditions for nearly 250 years by that time. There is no way so many people underwent such horrific and traumatizing events and conditions for so many years and are supposed to come out okay. After being freed, black people never received any therapeutic help to properly heal them. A lot of the ideals that were forced upon them during slavery were passed down from generation to generation. And, of course, slave masters never got prosecuted for the things they did for so many years. Also, things didn’t stop and change for black people after being freed as slaves. They still had to deal with racist laws such as Jim Crow laws and Grandfather Clauses that enforced segregation and denied them their right to vote, discrimination, the Ku Klux Klan, terrorism from neighboring whites, police brutality, and being mocked in minstrel shows and other racist media, amongst other things for many, many years afterwards. And just like during slavery, a great number of those white people never got prosecuted for these things they did, if at all. It may not be as intense and violent as it was hundreds of years ago, but black people across the country are still dealing with racism from white people today and still don’t feel completely equal to them. Of course, there is a movie made nearly every year that reminds black people that they were once slaves, probably trying to send a message saying that’s all they’ve ever been. Civil rights movies are made just as frequently, reminding black people of everything they’ve been through in this country by the hands of white people. There has never been any real justice for black people in the hundreds of years we’ve been here. Still to this day, we never got back our original land, culture, customs, and languages that were stripped and stolen from us. We still remain lost and confused. Today, we are told that we should “forget and get over” slavery and that we “don’t deserve” reparations because we were never slaves. But what did the slaves get? This is what many people fail to mention when they say this. The slaves never got anything besides freedom. And they didn’t get freedom because slave owners finally felt sorry for holding slaves. They were freed to save the United States and its economy. They never got back everything that was stolen and stripped from them. As a matter of fact, the promise of 40 acres and a mule (which I think slaves deserve way more than that for what they went through) was never fulfilled. There’s a reason why black people are still asking for these things. And it’s not just for a handout, like the psychological warfare would have many people believe. I believe black people have never gotten over slavery because not only are we constantly reminded of it in schools and media, our ancestors hundreds of years ago never got fully healed, justice was never served, and the hurt has been passed down ever since. Whether anybody wants to believe or accept it or not, slavery really did destroy black people. We’re still looking at the damage that slavery has caused. Black communities would be completely different if slavery and racism never happened. Yes, we have rights today that we didn’t have hundreds of years ago, but they weren’t given to us as amends. Our ancestors had to fight and die for them and they shouldn’t have had to been “fought for”. Our ancestors shouldn’t have had to fight for any rights because those things should already be free for everyone and no other person should have the right to take that away from anyone. I believe black people are told to “forget and get over” slavery because if we remember slavery and all the other hardships we endured throughout our history in this country, we will get angry. And when we get angry, we will become vengeful. And, I don’t think I have to mention what will happen after we become vengeful. We are told to “forget and get over” slavery because white people are afraid of our retaliation. It all comes from FEAR. I also believe that we are told to “forget and get over” slavery due to guilt. White people feel guilty and uncomfortable when discussions of slavery and racism are brought up. To avoid feeling this guilt and feeling uncomfortable, they try to tell black people to “forget and get over” it in hopes of getting us to stop talking about it.